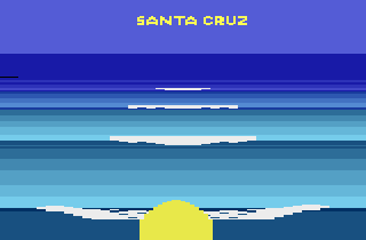 This is anearly 8K version of Surfs Up that was found with some other Amiga prototypes. Unfortunately the game does not seem to be able to be started, so all the player can do is reset the wave on the level select screen by pressing the fire button. It is not known if this is simply an unplayable demo, or if the game is expecting input from a prototype JoyBoard controller. 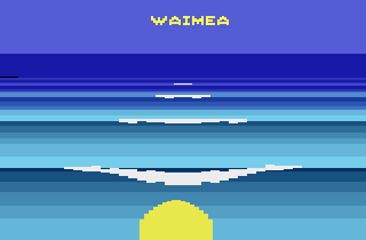 Waimea, is this a easy or hard level? Santa Cruz here I come!